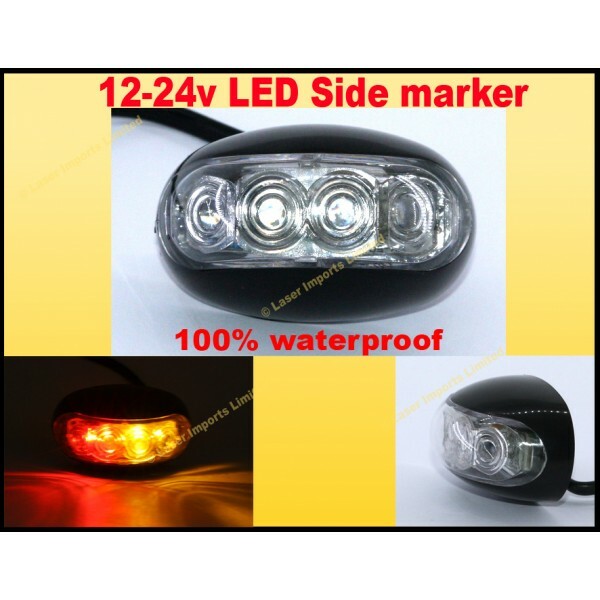 You are buying one waterproof multivoltage Side marker light for trucks and trailer lights. These give off both red and amber light and will work on both 12 and 24v. Or choose from red only or amber only. To install pop the lens out of the housing, screw the housing to the desired location. Push the lens back in. Connect the red wire to positive and white to negative. Great for truck and trailer position markers. Side lights.